Yesterday, I completed Mission No.2 of The Lifeboat Station Project and, in turn, the East Anglian coast. I’ve been on the road for nearly four weeks (bar a quick dash home on the train for my elder son’s birthday). So, it’s time to hit the road back to Newcastle to reunite with my family. If you’ve followed this journey of mine for a little while, you’ll know that it encourages wonderful things to happen – so much so that the unexpected is now becoming the expected. 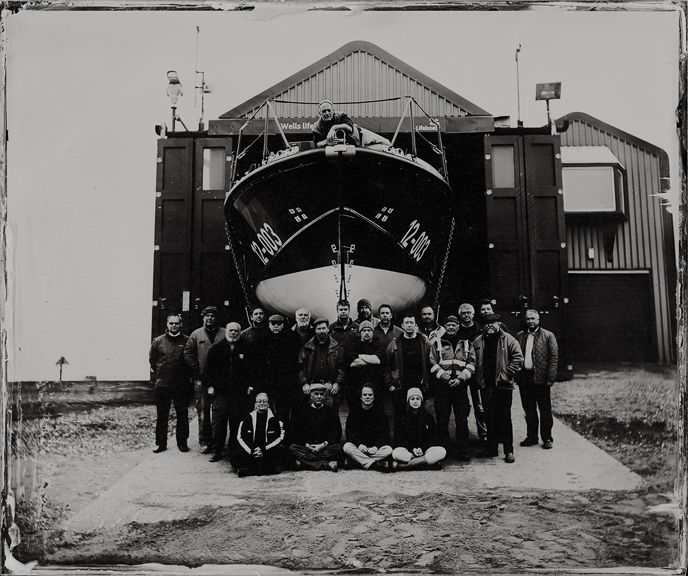 On Thursday, I was working with Julian Calverley at Hunstanton Lifeboat Station. A passer-by, Celia, looked enthusiastically upon the theatre of the Project, so I invited her into the ambulance to witness the magic of developing a plate. In short, she has breast cancer which has now entered her lymph system. That’s exactly what happened to my Mum, so I know what Celia meant by ‘overtime’. As it turned out, we were staying in the same hotel, so the three of us arranged to meet in the evening for a drink and a chat. As you might imagine, Celia was very tired at the end of a day by the sea, so we agreed to reconvene the next morning after breakfast to look through some of the photographs I’ve made on the journey so far. We did just that and she bought us each a latte to enjoy while we looked through the prints. Beforehand, little did I know that Celia had been to a cash machine and simply wanted to make a decision as to which print to buy. She settled on the group photograph of the Wells Lifeboat crew and handed me £200 cash, telling me to keep the change. Now, to me, that’s yet another wonderful happening to have arisen from this Project; a very ill woman with such a cheery, generous demeanour seeking so much joy from the little time she has left to do so. 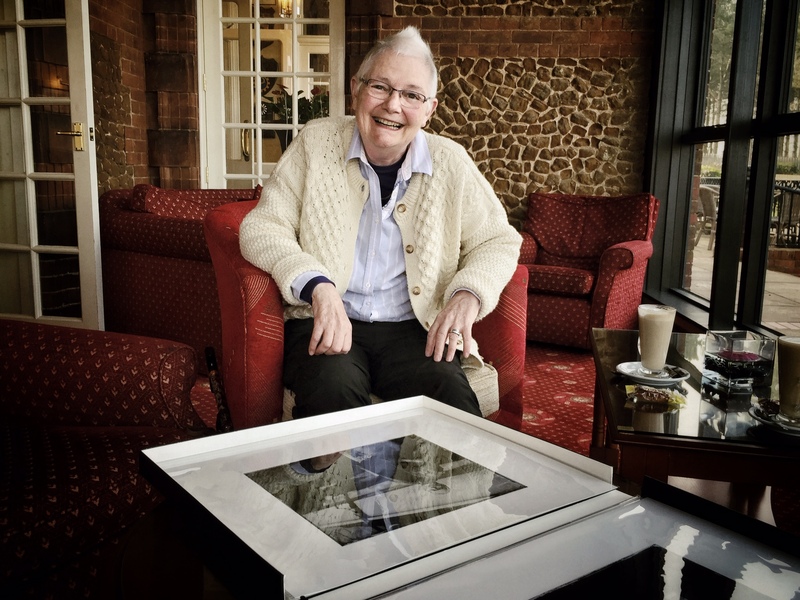 I’d like to thank all those who’ve supported the Project to this point, not least Celia — it’s truly moving to see so many of you recognising the value in the photographs I’m making.